BIRKENSTOCK. 552893. ARIZONA KIDS. 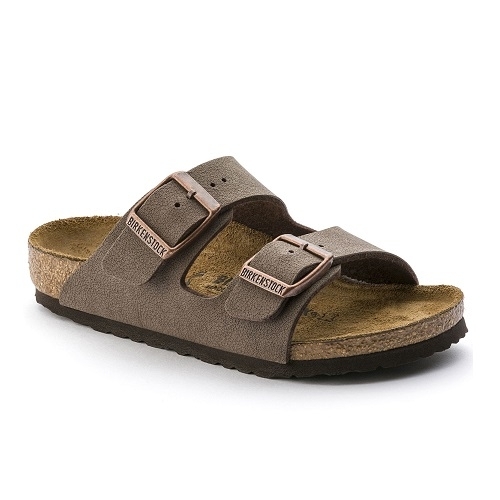 MOCHA.The BIRKENSTOCK Arizona the classic sandal has been given a new and modern twist for adventurous kids. The upper is made of skin-friendly and hard-wearing Birko-Flor in a sophisticated nubuck look. The full-length upper which can be individually adjusted using two sturdy metal buckles provides kids feet with protection and grip even when things get boisterous.